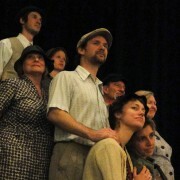 Hard Times Come Again No More takes place during a pivotal 1934 Truckers’ strike in Minnesota. Sowelu produced this play as a timely portrayal of poverty and joblessness building inevitably to a clash between the human need for dignified survival and corporate hunger for profit. Lisa Marsicek and Stephanie Woods. Martha Boesing based Hard Times Come Again No More on the 1930s stories, essays, characters of Meridel LeSueur (Salute to Spring,The Girl). LeSueur was a prominent “proletarian” writer of the 30s, was blacklisted in McCarthy’s madness that followed WWII. The stories and essays include: Annunciation, Dead in Steel, The Dread Road, Fable of a Man and Pigeons, A Hungry Intellectual, I was Marching, Our Fathers, Sequel to Love, They Follow Us Girls, What Happens in a Strike, Wind, Women Are Hungry, Women on the Breadlines. Hard Times Come Again No More is directed by Lorraine Bahr & Jim Davis. 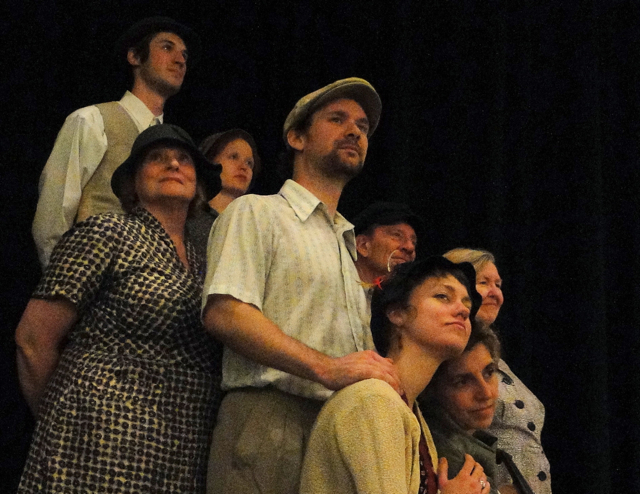 Actors featured are: Del Lewis; Nancy Wilson; Judith Ford; Lisa Marsicek; Stephanie Woods; Evan Honer; Christopher Ringkamp; Rebecca Ridenour. Martha Boesing (PLAYWRIGHT) has written over 40 produced plays, led workshops, and directed plays for theaters throughout the country. 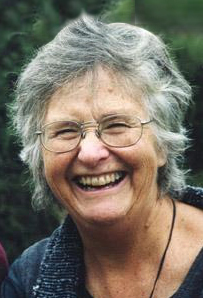 She was the Founder and Artistic Director At the Foot of the Mountain theater in Minneapolis (the longest running professional women’s theater in the country) from1974-84. She has won several national awards including an NEA, a Bush Fellowship, and the Kennedy Center’s Fund for New American Playwrights. In the sixties, she was a company member of Minneapolis’ Firehouse Theater (an iconoclastic, experimental theater,) and her work remains true to the ideological concerns of that time. 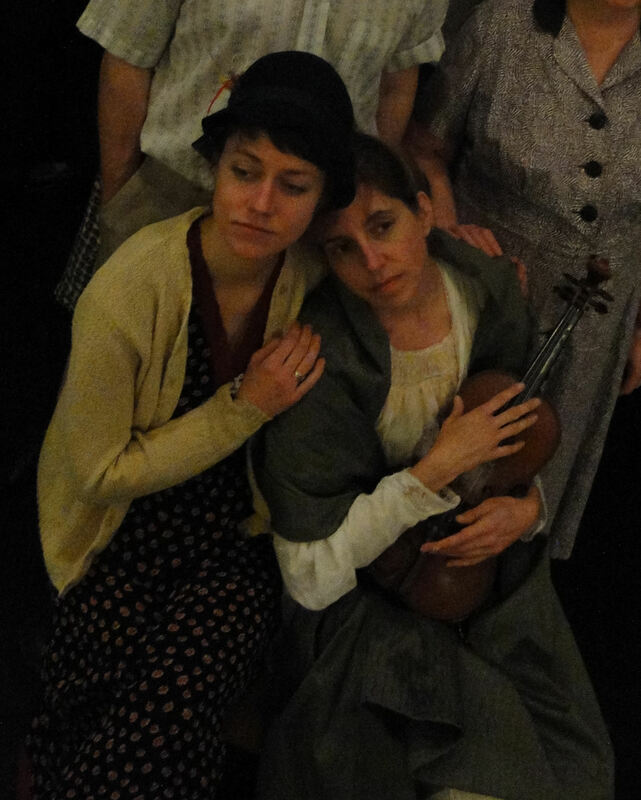 She now lives in Oakland with her partner, Sandy Boucher, and creates theatre pieces for The Faithful Fools, a street ministry in the Tenderloin district of San Francisco. Find out more at: www.marthaboesing.com. 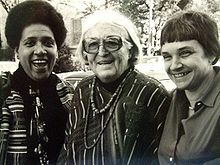 Meridel Le Sueur (middle) with Audre Lorde (left) and Adrienne Rich (right), 1980. Meridel Le Sueur was an American writer associated with the proletarian movement of the 1930s and 1940s. She published articles in the New Masses and The American Mercury. Her best known books are North Star Country (1945), a people’s history of Minnesota, and the novel The Girl, which was written in the 1930s but not published until 1978. In the 1950s, Le Sueur was blacklisted as a communist, but her reputation was revived in the 1970s, when she was hailed as a proto-feminist for her writings in support of women’s rights. 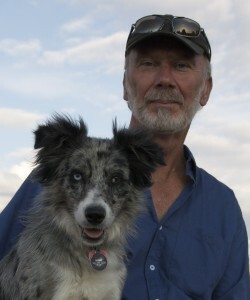 And in the latter part of the show, a featured Writers Read segment from Bing Bingham who lives on a remote ranch in northern, Central Oregon where he works as an independent writer, photographer and radio producer. Bingham is probably best known for his web column, Coffee Shop Moments, which takes place in the fictional Dusty Dog Cafe. Read more of his stories at: bingbingham.com.